A direct connection to current public records. Detect fraud. Verify identities. Conduct investigations. New Security Alert: Phishing occurs when a malicious entity sends email in order to trick the recipient into taking actions. Be careful about emails you receive that appear to come from us, and carefully review such emails for typos, etc. For example accurnt.com, where the “I” is omitted from Accurint. Clever thieves can build a fake website that looks authentic. 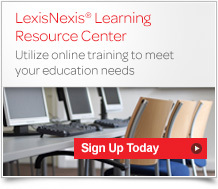 Welcome, and thank you for choosing Accurint®, a service of LexisNexis® Risk Solutions. To help you maximize the benefit of your new Accurint service and quickly get started, we offer a variety of helpful support resources listed below. NOTE:Your User Name and Password may be required to access these tools. Learning Resource Center: An interactive self-service website where you can easily view, access and engage in a variety of complimentary training experiences including eLearning, distance learning and onsite classroom training. Accurint Demo Center: Access an updated list of live, interactive Accurint demonstrations via the Accurint Demo Center. Note: a meeting ID provided by your account representative is required. Learn more about LexisNexis Risk Solutions, visit our news and events page to access articles, press releases and list of events in which we'll be attending. View details. Security tips: Reduce your risk of being victimized by email scams with these helpful guidelines for protecting your organization, including instructions on how to enable IP restrictions for your Accurint account, and general security tips on fraudster tactics and malware.